I’m not a biblical scholar. Heck, I’m barely more than Biblically semi-literate. So I need a little help here, by readers who are also familiar with the Bible, and hopefully a few that are specifically intimate with Catholic canon and monastic orders. No need to pray for or forgive the unrepentant? Shooting hostile unbelievers and criminals? Mix of new and old testament? Family as core of civilization? Thoughts, comments, New Testament versus Old considerations, passages, etc? Sounds less like a traditional monastery or religious order than it does a militant order such as the Knights Templar, Knights of St. John, or the Teutonic Knights. Might be some aspects of Opus Dei in the concept, also. Yes. I’m somewhat familiar with the Templars; what I am not familiar with is the specific biblical justification for their founding, funding, and teachings. Making an explicit reference to them when he’s arguing with the higher-ups would make sense, but it would be more powerful if he could lay out a traditional (and not discredited) argument for it being resurrected in some way. I’ll have to look into that. Anyone out there know already? At first glance, it looks like some heavy reading there, mixed in with the “knights shall be given linen shirts” things. Should have read both posts before I responded to the other :-). It might take a while to wade through…..
Hmmm, a quick scan says it more about rules of daily life in the order than mission, justification, and such, but there is a lot of grist for discussion and consideration. Thanks much for the link. There’s going to be some in the Old Testament law on these, but the New Testament epistles (letters, mostly written by the Apostle Paul [the author names himself and his audience in the first few verses]; basically all the books in the New Testament between Acts and Revelations are epistles) will offer more specific contexts and subjects. The hard part (from a character standpoint) will be not taking Scripture citations too far out of context. The other hard part (for you as an author) will be choosing one translation/version and sticking with it. If I may suggest: I like the New King James Version (NKJV), but the original King James Version (KJV) tends to carry more authoritative language (KJV has the traditional “thou shalt not” old English). The downfall is in the very next paragraph, Romans 2: 1-2: “1 Therefore you are inexcusable, O man, whoever you are who judge, for in whatever you judge another you condemn yourself; for you who judge practice the same things. 2 But we know that the judgment of God is according to truth against those who practice such things.” Your monks must be (or believe themselves to be) utterly pure. If they practice the same sins, then they are unworthy of rendering judgment. Also note that “sloth” (laziness) is one of the seven deadly sins. The Bible has plenty of examples of lazy people losing everything, while the laborers and hard workers earn or inherit everything. Let me know if those help. Oh dear. Perhaps you’re confusing the Shaolin Monastery with Christian monks. The former are famous for martial arts. But the latter don’t fight about anything. In fact, the rule of Saint Benedict, which pretty much defined monastic life since the sixth century, forbids fighting among the monks, and even defending each other. On the other hand, much of what you describe is what a Catholic Man is supposed to be: head of the family; protector and provider; Priest, Prophet and King. Knowing when to pray and when to fight evil are all part of the covenant. Hard work and knowing the old and new testaments are in there too. I’m not so sure about wives as status symbols. The family is key to everything, and it is all about love and respect. Marriage isn’t just a contract (this is mine and that is yours). Marriage is a covenant (I am yours and you are mine). Monastics (monks and nuns; brothers and sisters) forgo that commitment to a person, and instead give themselves entirely to Christ. That is why it a life commitment. One of the hardest things in the faith (for many of us) is that you have to love your enemies. CCC paragraph 2588 leads the section on the fifth commandment with “Human Life is sacred…”, and then describes respect for human life, the admonition to “Love your enemies” from the Sermon on the Mount, and then a discussion of legitimate defense. So you really do have to learn to forgive the unrepentant and the criminals. Even if they’re hostile. No, I don’t think I’m confusing them; OTOH, I do plan on mixing them up 🙂 And because of some of those serious differences (not familear with the specific one you point out, so I’ll have to go look it up, now) is what would make a new order of “monks with offense” called for. Perhaps 2265 will be the core take off point – a lot of people only see the softness of the Church; soldiers, by definition, are use to more aggressive action, and if cast aside by their employer after battle damage they may want to still be the “sheepdog,” not just a sheep. Thanks very much. A lot of stuff there. It’ll take a while to wade through it (I still have a full-time day job, :-/ ) and digest. At first blush, it looks like the sort of things I’m looking for. Some of them, like hard labor and the value of a good (a very important modifier) wife are relatively easy; some of the other things may be a bit more of a stretch. I understand on the time constraints. I only touched on those three topics; that wasn’t all-out research. Just what I could throw together during breaks, already knowing roughly what to look for and where to find it. Some of the other ones (martial arts, family as the core of civilization, monastic stays, job training, free will, etc.) I don’t believe are directly addressed in Scripture. (That’s not to say the aren’t, just that I’m not immediately familiar. I’m still studying, too, after all. 😉 ) In some cases, you may be venturing out of Scriptural citations and into matters of sect- or denomination-specific principles (such as the Latter-Day Saints’ “A Proclamation to the World”, which makes a strong argument that the family is the fundamental unit of any society; I find it valuable, even though I’m not LDS). I thank you much for any any all “Catholic teaching” assistance you may offer as the story unfolds for me. I’m sure I’ll have more questions as time goes on. My goal is to create an Order that is plausibly realistic and could easily be thought heretical by more than a handful of well-educated and honestly sincere Christians. 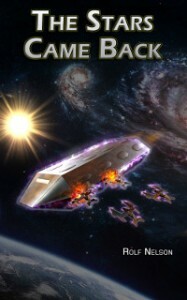 It’s an interesting thought, writing a book that has as a core subject something I know little about, simply because it seems like an interesting back-story to the main series. But I think it’s one that might be very well-received, *if* I can do it well. Oops. That’s paragraph 2258, not 2588. 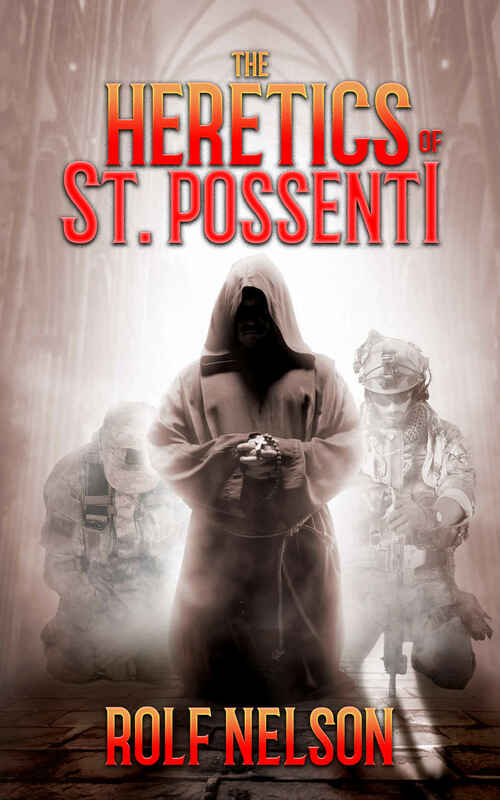 St. George as a patron is already unlikely, as this new novel of Rolf Nelson’s is a prequel to his *The Stars Came Back,* which established the monks of St. Gabriel Possenti as part of his universe. St. George (or St. Michael) *could* be an important secondary patron, and this has precedent: Carthusians were founded by St. Bruno and he is their patron, but Carthusians also revere the Blessed Virgin, to the point of naming a part of their individual cells the *Ave Maria,* a place where they say a prayer to Her as part of their daily routine. There are other Rules as well; each new religious order tends to draw up one of its own, or follow variations of St. Benedict’s Rule, at least as far as Catholics are concerned (and Mr. Nelson’s monks of St. Possenti would appear to be Catholics, and not Orthodox or some Protestant denomination). Hmm. Having a friend that is a Catholic priest, monk, or historian would probably be of great benefit to you. The blogger Elizabeth Scalia (The Anchoress) might be willing to point you toward some helpful individuals (contact email can be found in the *About the Anchoress* section). Many monasteries have a program for accepting visitors for spiritual retreats – – think of it as a monastic vacation from the stress of everyday life – – similar in nature to the *raison detre* of your Order of St. Possenti, which as I understand it is to heal those men damaged by PTSD, either from warfighting or even from a broken marriage. Going on one of these retreats would be a nice way to dip your toe into the monastic life – – the larger, more established monasteries often have substantial land on which to walk/hike: Gethsemani in Kentucky and Mepkin Abbey in SC are two of these I can think of off the top of my head. You don’t even have to be a Catholic to go on a monastic retreat, if that is a worry. They accept people of all faiths, or none at all. Thanks much for the links and info. I asked John C. Write about working together, and he graciously declined, citing far to much of his own work still to write. Perhaps I’ll ask him to read an early draft/outline to make sure there are not huge plot/reality gaps in my assumptions and understanding, gaps which would be obvious to his much greater knowledge on the Bible and Catholicism. Not sure how many monasteries there are in the Seattle area, but I’m sure there is at least one of a reasonable sort within driving distance. That might be one approach. Not sure if I’d be up for a “retreat” there, but an afternoon talking with one of the monks might be fascinating, even if it wasn’t for research purposes. Even if they are not exactly in my writing a positive book about fringe-ish heretics, I’m sure they’d at least like me to get the facts of the Church right. Given the low number of pro-faith SF there is out there, it can’t offend them too much, I’d think. It should also be pointed out that each of the monastic orders or chivalric orders began as a reaction to a need that wasn’t being met by the Catholic Church at large: Benedictines to satisfy those who hungered for the life of the early hermits and Our Lord in the period of his desert fasting; the Templars to the necessity of fighting for the Holy Land during the Crusades, and keeping pilgrims safe as they journeyed there; the Knights of St. John for much the same reason, but with the additional task of running hospitals for those pilgrims; the Franciscans formed in reaction to the sumptuous degeneracy of the medieval Church, while the Dominicans formed to combat the heresies of the same period. The Jesuits, of course, were formed in reaction to the Protestant Reformation and led the Counter-reformation. Good point. That is the thrust of my thinking, actually. The main character has a series of events that make him realize that the current church activities are not meeting the needs of some people with great needs, so he founds the order. And, seeing people who are “in a mental place” where traditional methods are not reaching, he goes rather radically tangent to orthodoxy. Certainly defending the family (physically and morally) in a time when it’s being attacked by the welfare state, radical feminists, drugs, gangs, media, etc., would be a just cause. Huh. Cool. How could I have not heard about this book before now? (I don’t think that the solitude of the Carthusians would fit in with the PTSD therapy you envision for your warrior-monks, but I wanted to at least make you aware of it). Let each one sleep in a separate bed. according to the Abbess’s directions. with the seniors who have charge of them. A candle shall be kept burning in the room until morning. yet with all gravity and decorum. but among those of the older ones. that the drowsy may have no excuse. (I always smile when I read that sentence about no knives in bed). Something that needs to be pointed out is the necessity of the St. Possenti monastery being able to support itself financially. In the past, monasteries acquired great wealth when benefactors would donate gifts, even land, to the monasteries in exchange for grace and prayers said by the monks for the benefactor. (This is why Henry VIII was interested in dissolving the monasteries and appropriating their wealth to the crown, also.) Modern monasteries, while still receiving some outside funding from benefactors, are also required to make efforts at being self-supporting via agriculture, teaching, and crafts practiced by the monks – – thus you’ll see monks as beekeepers who manufacture honey and beeswax candles; monks who make jellies or other food products; monks who run dairies or even raise chickens for eggs (Mepkin Abbey in SC did this until PETA drove them out of the business after questioning their care for the chickens). Other monks might make rosaries, turn candlesticks, etc., to sell in monastery gift shops. I don’t know if any monks still hand-copy books, but it would be a wonderful skill to resurrect. If you’re looking for something Old Testament; Maimonides (who is considered one of, if not the most important Rabbi behind Moses) affirmed right to kill criminals who could be reasonably believed to be actively trying to kill you or who in the course of their crimes might be reasonably believed to kill you. However, being Catholic-derived, I’d prefer more NT sources as well. Following on Robert Evans’ point about orders being started as reaction to unmet needs, I’d encourage you in this line to focus on getting the Big Picture and not sweating the details. After all, if the story is taking place in the distant future, that process of new orders arising–or, heck, of existing orders finding new direction–will surely continue. I would hold up A Canticle for Leibowitz as an outstanding model of this. Speaking of canticles, I’ve written into it a scene with “Canticle 762.” When a visiting cardinal asks about it, the reply to what it means has several puns (that go right over the non-gunnie cardinal’s head, of course). If the story was worth more than the asking price, help support the creation of more books by putting a price on your opinion. Hit the DONATE button below!